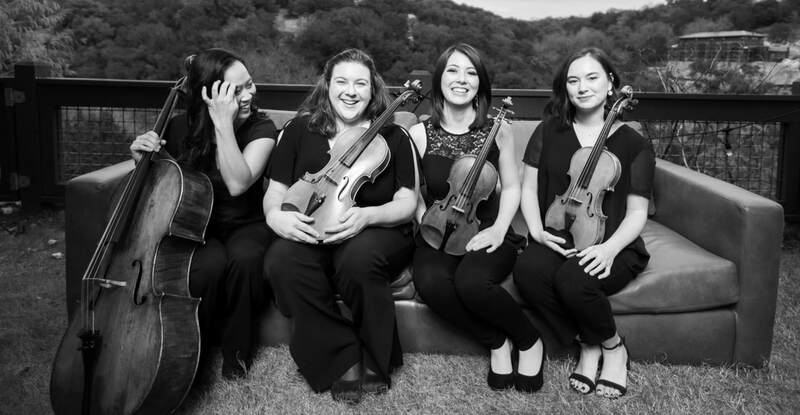 Sienna String Quartet is a professional string quartet based in Austin, TX. Our ensemble is available to play weddings, cocktail hours & other special events. We have a wide array of music to choose from including traditional as well as classical and popular music. We offer string ensembles ranging from string quartet to soloists and also now offer violin and guitar duets. Check out our media page for photos and videos of us performing. Then look through the music list to help decide what pieces of music will help create your perfect ceremony! When you are ready, or have more questions, contact us to get more information! We look forward to working with you and making your special event a day to remember!